How to tile your backsplash - Brick & Banister Real Estate Co.
A tiled backsplash is a relatively easy and cheap update for your kitchen! It might look intimidating, but it’s not too scary. 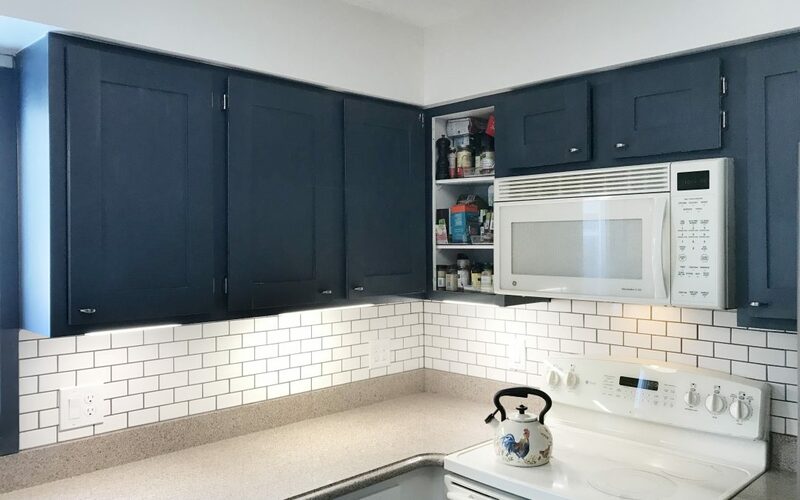 I’m loving the tiny subway tile, it comes on a sheet so it goes up quickly. I’ve been doing mine in phases, this is phase 3 of 4. If we ever get our #kitchenhole closed up I’ll be able to wrap up the backsplash tiling. Mix up some mortar. Spread it on the wall with a notched trowel (smaller notches are better for small tiles, mine is too big in the vid). Stick your tile to the wall. Try to keep it straight as best you can. Try to push all the tiles down about the same so your wall is smoothish and even. A score-n-snap is the best $18 you’ll ever spend if you use subway tile. You only really need a saw for making inside corner cuts which happen around the outlets pretty often (think Oklahoma shaped tiles). Cleanup mortar mess before it dries or it will turn to concrete…literally. Smoosh it into the cracks with the grout float. Go up, down, diagonal, to make sure you get it really smashed in and no gaps or holes. Wait a few mins for it to set up, you’ll notice it dries to a haze on the tile faces. Use a damp sponge to wipe off excess grout. Let it dry to a haze again then use a damp cloth to wipe again. After another few minutes, use a dry cloth to polish up the tiles. My electrician husband pulled our electrical boxes forward so the outlets now sit flush with the new tile backsplash. This job would likely cost you about a thousand bucks to hire out. Maybe it’s worth it, but if you’ve got a little time on your hands it’s pretty fun and easy to DIY. I’ve got about $00 in materials here and this took about 3 hrs with LOTS of interruptions. When it comes time to sell your house, you’ll be proud of the effort you put in and the value you’ve added. Next up on this project, finishing the tile in the last section of the kitchen. New appliances. Finishing the lower cabbies to look like the uppers. Did you give it a shot? Post your questions, pics and comments below! We love seeing YOUR projects!